Any dispute arising in connection with this Agreement . . . will be resolved in accordance with the Rules of Conciliation and Arbitration of the International Chamber of Commerce. . . . The arbitration clause does not limit Sony Ericsson’s right to apply to a court of competent jurisdiction with a claim to recover the amounts owed for products delivered. As is evident from the Clause, while both parties had the right to have a dispute decided through arbitration, Sony Ericsson was given an additional, unilateral right to litigate in a court of competent jurisdiction. When issues with the quality of Sony Ericsson products arose, RTC, disregarding the Clause, filed suit in the Moscow Commercial Court, where it sought the replacement of the alleged nonconforming products. By the time the case was referred to the Presidium, three courts below had refused to invalidate the Clause based on the principles of party autonomy and freedom of contract. The Presidium reversed the decisions of the lower courts. A guarantee of judicial protection and fair proceedings, the Presidium reasoned, requires granting both sides an equal opportunity to bring their positions relative to all aspects of the case to the court’s attention. Only then can judicial protection—which should be fair, complete, and efficient—be fully realized. The principles of competition and equality of the parties suggest granting those participating in the court proceedings equal procedural opportunities to assert their rights and legal interests. Based on the general principles of implementation of the protection of civil rights, the Presidium stated, a contract cannot confer a right to resolve disputes in a state court on one side and deny the same right to the other. In support of its decision, it cited several cases from the European Court of Human Rights, as well as the European Convention on Human Rights. To ensure uniformity, the Presidium warned that an agreement containing a UOC will be considered invalid as violating the balance of the parties’ rights. Therefore, the party whose right is violated is within its right to seek redress in a state court. The Presidium’s decision is significant because it creates uniformity in, and provides direction to, lower arbitration courts in Russia. The decision also provides clear guidance and predictability for future contracts: parties would be well advised to include a dispute resolution clause that calls for arbitration exclusively. The effect of the decision is that it turns the unilateral option into a bilateral option, meaning that if arbitration is available to both parties, but litigation only to one party, since the second part of the clause is void, both parties are able to initiate a court action. Although the decision states, “[w]here such an agreement is concluded, it is invalid as violating the balance of the parties’ rights,” it would make little sense for the literal meaning of this sentence to control and suggest that the entire dispute resolution clause, including the arbitration provision, is void. Instead, this statement should be read in conjunction with the following statement: “A party whose right is infringed upon by such an agreement on dispute resolution also has the right of recourse to a competent state court.” This interpretation makes sense because invalidating the entire resolution clause would mean completely overlooking the forum selection clause. Such a result would be an excessive sanction since the arbitration provision gives equal rights to both parties and does not violate their procedural due process rights. An exclusive arbitration clause in a contract would normally be upheld. Based on the Presidium’s decision, it appears that the only way to avoid litigation is to have an exclusive arbitration clause. Although some guidance, as mentioned in the preceding paragraph, exists, it is minimal when considering the number of unanswered questions. The Presidium invalidated the UOC in a purely domestic dispute, since both parties are companies organized under Russian law, but left unanswered whether a UOC in an international contract would also be deemed void. This question becomes relevant when considering enforcement of arbitral awards and foreign court judgments in Russia. In regards to arbitral awards, it is unlikely that Russian state courts will refuse to enforce them, even in purely domestic cases. Based on the fact that the Court’s rationale was predicated on the principle of procedural due process, in a hypothetical scenario that concerns the same clause but involves the party with the unilateral right to seek litigation going to arbitration instead, a Russian state court would most likely enforce an arbitral award rendered on the merits. The same would be true if one party was Russian and the other foreign, regardless of which party had the unilateral right. This situation does not offend the weaker party’s procedural due process rights because the unilateral option is not invoked. The result would most likely be different with respect to enforcement of court awards upholding a UOC and rendering a decision on the merits. Using the above hypothetical, if the party with the unilateral right initiated a lawsuit in a court having competent jurisdiction outside the Russian Federation instead of resolving the dispute through arbitration, and that court rendered a judgment, a Russian state court would most likely refuse to enforce it. Unlike the above situation, this hypothetical does offend the other party’s right to procedural due process because only one side had the option to litigate, and that option was invoked. In addition to procedural fairness considerations, judgment and arbitral award holders must pass another hurdle before their judgment or award can be enforced in Russia. Pursuant to Article 241 of the Commercial Procedure Code of the Russian Federation, a Russian commercial court will recognize a decision of a foreign court, an award of an arbitration tribunal, and an award of an international commercial arbitration court rendered in a foreign country only if “the recognition and enforcement of such judgments is stipulated in an international treaty of the Russian Federation and in federal law.” The problem is, if Russia has not signed a treaty with a country in which the judgment or arbitral award was rendered, there can be no enforcement. There is evidence that this may be changing, however. The Highest Arbitration Court has heard a few cases in which it held that based on the international law principles of reciprocity and comity, a Russian state court would enforce a foreign judgment if that country would enforce a judgment rendered in Russia. The existence of these favorable decisions makes this rule far from absolute, however. Several grounds for non-enforceability exist, including the public policy exception, which has been construed very liberally in the past and is subject to abuse based on political and diplomatic relations between Russia and the country in which the judgment is rendered. With respect to arbitral awards only, although Russia is a party to the New York Convention, not only has it made two reservations, there are also numerous instances where Russian arbitration courts have refused to enforce arbitral awards for reasons other than those related to the reservations. The most common reason for non-enforcement is that the award is contrary to public policy. Related to the public policy ground is the courts’ consideration that a violation of mandatory Russian rules is a violation of Russian public policy. Other reasons for non-enforcement include procedural violations and invalidity of agreement to arbitrate, which, like the public policy exception, are valid grounds. Sometimes, however, corruption plays a role in a Russian court’s refusal to enforce an arbitral award. For this reason, investors are sometimes concerned about seeking arbitration with Russian parties. There is a level of distrust of the Russian judiciary due to the existence of corruption within that branch, as well as the executive branch. These difficulties in getting court judgments and arbitral awards enforced may explain why UOCs allowing for litigation (in Russia) are included in agreements between foreign and Russian companies. The law on UOCs is still either unclear or undeveloped in most states, but there has been a recent trend in several states to invalidate clauses containing unilateral options. Of particular significance is a recent French Cour de cassation decision that, like the Presidium, invalidated a unilateral jurisdiction clause in a contract between a bank and its client. In Ms. X v. Banque Privee Edmond de Rothschild, the dispute resolution clause called for Luxembourg law to govern the rights and obligations of the parties, and further that disputes between the parties “will be subject to the exclusive jurisdiction of the courts of Luxembourg.” The bank had the additional “right to act in the court where the client has her domicile or any other court of competent jurisdiction.” Having had the benefit of seeing what the Russian court did with the UOC in RTC v. Sony Ericsson, and what Bulgaria’s Highest Court did a year earlier, and perhaps following in their footsteps, the French court, applying its own law, invalidated the clause on the basis of its potestative nature, effectively disregarding the agreement that Luxembourg law apply. Unlike the Presidium’s approach in “bilateralizing” the UOC, the French court invalidated the clause in its entirety. Although the rationale for invalidation in the two cases is not identical, the underlying principle in both is fairness. The French court did not explicitly say that the clause violated the client’s procedural due process rights, but it did base its decision on lack of mutuality of obligation. Inherent in the potestative condition is the idea that one party has rights that the other party does not. Unlike RTC, a purely domestic case, Ms. X is an international case that involves France and Luxembourg. The plaintiff was domiciled in Spain. But even if the case had been purely domestic, the result would have most likely been the same. The French court’s reasoning did not appear to be based on the case’s international status. Its concern was not jurisdiction or the parties’ origins. Instead, the concern was the provision’s giving one party rights not available to the other. Further, the notion of potestativité is French. The Cour de cassation could have invalidated the clause because it was incompatible with Article 23 of Brussels I, which was the reasoning the lower courts used. Instead, the court used a domestic French law concept. What is clear at this point is that parties entering into international contracts containing such provisions have to assess whether there is any possibility that French law will apply (including through another state’s conflict of law rules or by way of a choice of law clause in a contract) because through this decision, the French court has spoken that it finds one-sided agreements intolerable. Although the Court did not address the effect of its decision on clauses such as the one in the RTC case (both parties have the option to arbitrate, but only one has the right to litigate), there is no indication in the decision that it would treat them any differently. Ambiguity also surrounds potestative conditions themselves. For example, would the result have been different if instead of saying that the bank could choose among a couple of fora, the agreement simply listed eligible courts? Perhaps that would have been a weaker case for the French court to sanction. On the other hand, if the bank had more options, even if they were expressly limited, than the client had, that would violate Article L.422-6 of the French Commercial Code. Problems with enforcement are just as likely in France as they are in Russia. For example, for exequatur (writ of execution) to be granted, the foreign judgment must not be perceived as contravening French law. It is becoming increasingly evident that the global trend today is to invalidate UOCs. Courts all over the world are demonstrating that fairness prevails over party autonomy and the intent of the parties’ principles. The rationale in all of these cases is rooted in the principles of justice and procedural due process. In many contracts containing UOCs, it is often the case that the weaker party is placed at a disadvantage in relation to its partner. By invalidating UOCs, courts are putting both parties on equal footing with respect to dispute resolution. The decisions discussed in this Article are still new, and many questions regarding interpretation and application remain unanswered. Whether or not these decisions spark a revolution in the way UOCs are regarded in the future remains to be seen, as many courts in jurisdictions where UOCs are currently valid have not reevaluated their decisions in decades while courts in other jurisdictions have yet to rule on their status. * New York University School of Law, LL.M. in International Business Regulation, Litigation and Arbitration, expected 2013; Michigan State University College of Law, J.D. 2012; Aquinas College, B.S. 2008. Special thanks to Professor Franco Ferrari for his invaluable guidance, commentary, and insight. 1 The Presidium’s duties are set forth in the Arbitration Procedural Code of the Russian Federation. 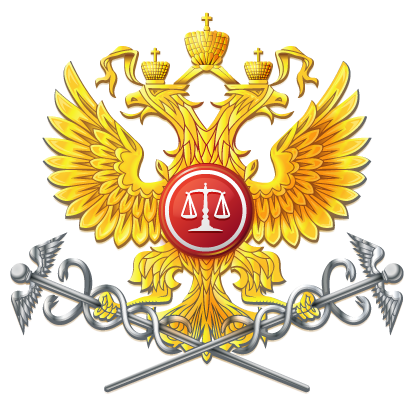 Among other powers, it has supervisory authority to review “judicial acts passed by the [lower] commercial courts of the Russian Federation.” The Presidium of the Supreme Commercial Court of the Russian Federation, Supreme Arbitration Court of the Russian Federation, http://www.arbitr.ru/eng/26198.html. 2 Despite their name, arbitration courts in Russia are courts that have jurisdiction over commercial matters. They are not involved in arbitration, the alternative dispute resolution process. 3 Vestnik Vysshego Arbitrazhnogo Suda RF [Vestn. VAS] [The Highest Arbitration Court of the RF Reporter] 2012, No. 10, p. 336. 4 Id. at 337(citing para. 21.2 of the Contract). 9 Vestnik Vysshego Arbitrazhnogo Suda RF [Vestn. VAS] [The Highest Arbitration Court of the RF Reporter] 2012, No. 10, p. 339. 13 Sony Ericsson Mobile Communications Rus is a subsidiary of Sony, and is organized under Russian law as a Limited Liability Company. Sony is incorporated in Japan, and was not a party in this dispute. 14 Arbitrazhno-Protsessualnyi Kodeks Rossiiskoi Federatsii [APK RF] [Code of Arbitration Procedure] art. 241(1) (Russ.) [hereinafter APK RF]. 15 See, e.g., Opredelenje ob otkaze v peredache dela v Prezidium Vysshego Arbitrazhnogo Suda Rossiiskoi Federatsii, ot 7 dekabria 2009, No. BAC-13688/09 [Determination of refusal to transfer the case to the Presidium of the Supreme Arbitration Court of the Russian Federation, on Dec. 7, 2009, No. BAC-13688/09]. 17 See Elliot Glusker, Arbitration Hurdles Facing Foreign Investors in Russia: An Analysis of Present Issues and Implications, 10 Pepp. Disp. Resol. L.J. 595, 605-15 (2010). 18 The Russian Federation has made the following reservations: 1) the Convention will apply only to the recognition and enforcement of awards made in the territory of another contracting state; and 2) with respect to those awards made in the territory of a non-contracting state, the Convention will apply only to the extent that the non-contracting state grants reciprocal treatment. Oxana Peters, Commercial Arbitration: Russia, GAR, http://www.globalarbitrationreview.com/know-how/topics/61/jurisdictions/26/russia/. 19 See, e.g., United World Ltd., v. Krasny Yakor (Pan. V. Russ. ), Fed. Com. Ct. of Volga-Vyatka Cir., Case No. A43-10716/02-27-10isp (2003). 20 Glusker, supra note 17, at 607-08. 21 OECD, The Investment Environment in the Russian Federation: Laws, Policies, and Institutions 17 (2001) (“[C]ourt decisions have not been executed because of undue influence on enforcement officers or the absence of effective enforcement mechanisms.”). 22 Two other reasons why parties may want to litigate in Russia as opposed to seek arbitration or litigate in a foreign court is convenience and the relative low cost of filing a claim in a Russian arbitration court. 23 One may argue that given the way the Russian court system works in practice, companies run a risk by agreeing to litigate in Russia for this very same reason—the possibility of corruption—and would, in fact, be better off litigating or arbitrating someplace else. Although enforcement is not guaranteed, the argument may go, a party pursuing the litigation route may not receive its right to a fair consideration of its case by an independent and unprejudiced court. It could be risking not getting a fair opportunity to have its case heard on the merits. While this is certainly a fair observation, despite these concerns, both domestic and international companies are leaving open the possibility to litigate in state court, which may simply be to establish an extra layer of protection. 24 Contra Pittalis v. Sherefettin,  Q.B. 868 (Eng. C.A.) (upholding unilateral option clauses). Besides Great Britain, many other jurisdictions still consider unilateral option clauses valid. See generally Philip Clifford & Oliver Browne, Finance Agreements: A Practical Approach to Options to Arbitrate, GAR (Dec. 1, 2006), http://www.lw.com/upload/pubContent/_pdf/pub1762_1.pdf. 25 Cour de cassation [Cass.] [supreme court for judicial matters] 1e civ. Sept. 26, 2012, No. 983 (Fr.). 28 Gilles Cuniberti, Bulgarian Court Strikes Down One Way Jurisdiction Clause, ConflictofLaws.net, http://conflictoflaws.net/2012/bulgarian-court-strikes-down-one-way-jurisdiction-clause/ (Nov. 13, 2012) (characterizing the clause as falling within the potestative rights category vis à vis the stronger party). The Court noted that potestative rights “exist only by virtue of law and are not subject to contractual arrangements.” Id. Such provisions are void under Article 26(1) of the Bulgarian Contracts and Obligations Act. Id. 29 Interestingly, had the French court given effect to the intent of the parties, the result could have been the same because the Luxembourg civil code recognizes the potestativité principle. However, it is difficult to predict what a Luxembourg court would have done in this instance. It is likewise difficult to predict what a Spanish court would have done, since suit could have also been filed in Spain because the plaintiff was domiciled there. Please also note that the Brussels I Regulation, which was analyzed in the French court’s decision, is beyond the scope of this Article. 30 While one could argue that the French courts would be more forgiving if two companies were involved rather than a company and a client, there does not seem to be any indication in the Court’s decision that the result would be any different if instead of a natural person, the plaintiff was a company. 31 Such clauses were considered valid in France. Cour de cassation [Cass.] [supreme court for judicial matters] 1e civ., May 15, 1974, Bull. civ. I, No. 143 (Fr.). 32 Code de commerce [C. com.] art. L.422-6 (Fr.) (dealing with imbalances between parties). 33 James C. Regan, The Enforcement of Foreign Judgments in France under the Nouveau Code de Procedure Civile, 4 B.C. Int’l & Comp. L. Rev. 149, 150, 185 (1981).